Italian cuisine is one of the most popular around the world. Italians are well known for the use of olive oil and garlic in cooking, as well as for seasoning dishes with Mediterranean herbs, especially oregano, basil, rosemary and sage. 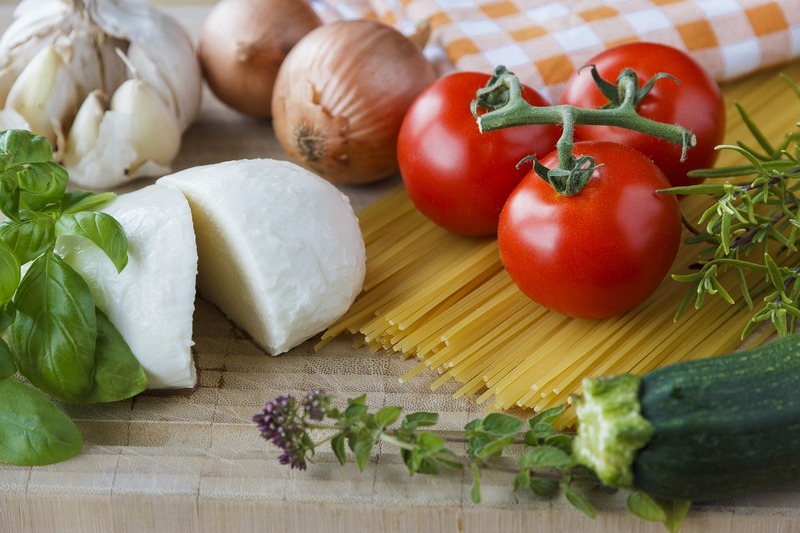 Cheese and seasonal ingredients also play an important role in Italian cuisine. You can say that almost everyone loves pizza. It's a fact! This irresistible combination of fine pastry, aromatic tomato sauce and, mostly, ham, mozzarella and mushrooms, offers endless possibilities of combining flavors. Variations and additions are numerous, but one thing is certain – the pizza is one of the world's most popular dishes for decades. „Life is combination of magic and pasta.” Federico Fellini, famous Italian director, once said. Although pasta is not originally from Italy (we can thank the Chinese for that), Italians created all of its shapes and textures. Any type of pasta is cleverly designed to capture and absorb as much flavor of the certain sauce. In fact, the main stars of this story are the Italian sauces who launched the pasta into world fame. Italians are warm, welcoming people who have a passion for food. Spending time with family and friends around the table is their way of life. Either at home or in a restaurant, each meal is a delight for the palate and soul.